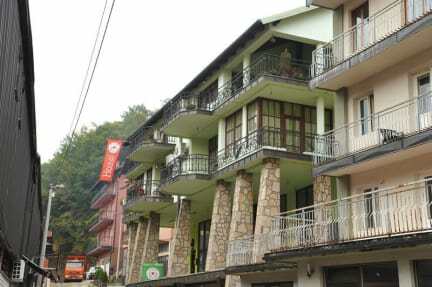 We are located in Uzice small picturesque town in Western Serbia surrounded by nature, biking and hiking trails and national parks. This vibrant town is perfect spot for day trips to Uvac Canyon, Tara National Park, Mokra Gora, Zlatibor and Zlatar Mountain. We organize amazing tours for our guests where you can see all the attractions and meet the local culture, customs and taste delicious food. In Užice you will easily get along with locals on numerous cultural and musical events. Užice is easy accessible on half way between Belgrade and Montenegro, Sarajevo or Niš. You have bus from Belgrade to Užice every hour, two trains and daily buses from Montenegro and Niš. Our idea was to create a unique and warm place that's enviromentally frendly and retains the real hostel vibe. All our furniture is hand-made with lots of love and effort.That's why it is incomparable and most of it has never been seen anywhere before.We have selected the most comfortable matteresses, 100% cotton bed lines, and extra qualitty pillows and blankets to provide an extraordinary sleeping experience. All our guests come together easily in indoor and outdoor common areas.We have set up video projector for warm summer movie nights.We have also built an organic garden with fresh seasonal fruits and vegetables. Every year, we add more inovations, and change the space - and we enjoy doing that! 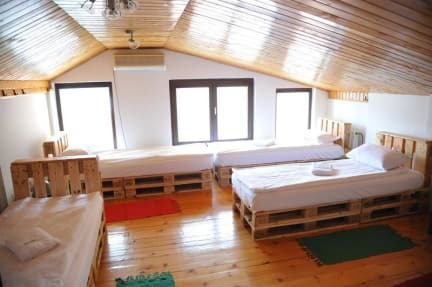 Behind Eco Hostel Republik's name and ideology lies idea to be as energetically and actively independent as the Užička Republika, the first territory that became independent during World War II in 1941. Hence the thematical decoration of the hostel with recycled materials, renewable energy usage and special focus on responsibile travel promotion.